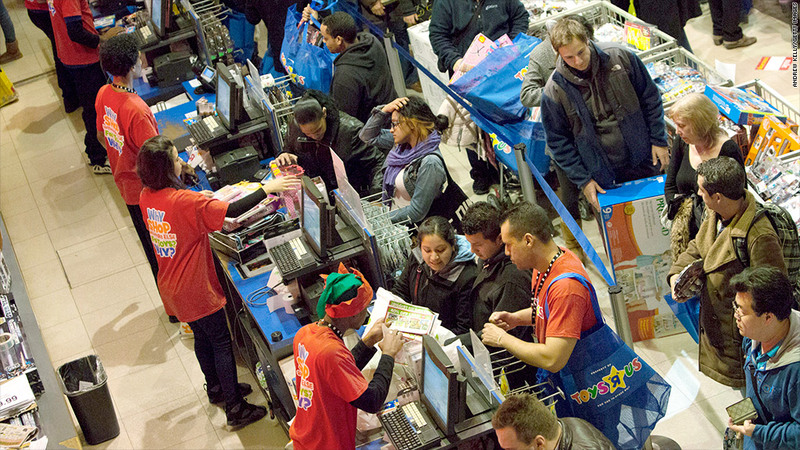 Toys R Us will bring on the same number of seasonal workers this year as it did last year. Stores are holding back on holiday hiring this year, as worries that customers will hold a tighter grip on their wallets this year persist. Toys R Us is the latest to announce less-than-thrilling seasonal hiring. The toy retailer said Tuesday that it will bring on 45,000 workers this year, roughly on par with last year's plans. These lackluster numbers come after Target (TGT) announced last week that it plans to hire about 70,000 temporary workers this year, down from 88,000 a year ago. Kohl's (KSS) said it would bring on roughly the same number as last year. While Wal-Mart, the nation's largest retailer, said it would hire 10% more workers this year than it did last year, a spokesman said the increase is partly a result of the company needing to staff the 110 new stores it has opened so far this year, and the "quite a few more" it plans to open in October. Overall, experts are predicting that stores such as Toys R Us have a challenging holiday season ahead of them. Industry tracker ShopperTrak said last week that it expects retail sales to rise 2.4% in November and December compared to last year. Bill Martin, ShopperTrak's founder, said that consumers will remain cautious this year and are not ready to splurge. On top of that, there are only 25 days between Black Friday and Christmas this year, compared to 31 days in 2012. This means that there are four full weekends this year as opposed to five last year, and weekends are typically the time customers do the most shopping.